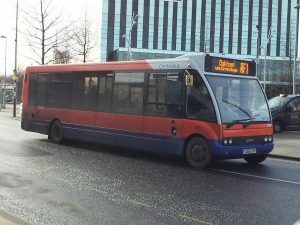 Northamptonshire County Council has brought forward the date for withdrawal of the No.67 (Gretton to Market Harborough) bus service, following the total withdrawal of bus subsidies from the Council’s 2018/19 budget. The last day of operation will now be Friday 25 May. We have also recently learned that Centrebus intends to cease operating the RF1 (Corby to Oakham) bus service on Saturday 23 June, as a . decline in patronage on the route along with increasing costs has made the service unsustainable.